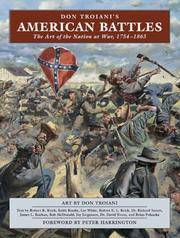 Don Troiani's American Battles: The Art of the Nation at War, 1754-1865. By Krick, Robert K. ; Keith Knoke ; Lee White ; Robert E. L. Krick ; Richard Sauers ; James L. Kochan ; Bob McDonald ; Jay Jorgensen ; David Evans & Brian Pohanka. Stackpole, 2006. , 2006. 1st ed. 248p. Photos. Color repros of his art. Oversize. Jacket priced. Fine/Fine copy. 1st. Hardcover. Fine/Fine. Book. 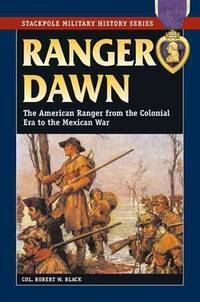 Ranger Dawn: The American Ranger from the Colonial Era to the Mexican War. Stackpole, 2009., 2009. 1st ed. 359p. Photos. Maps. Large Wraps. Fine Copy. 1st. Paperback. Fine. Book. A Guide to the Battles of the American Revolution. Savas Beatie, 2010, 2010. 1st thus.. 359p. Maps. Photos. Large Wraps. As New copy. 1st. Paperback. As New. Capital in Flames: The American Attack on York, 1813. Robin Brass/Naval Institute Press, 2008. 1st ed. 489p. Photos. Maps. Heavy. Jacket priced. Fine/Fine Copy. 1st. Hardcover. Fine/Fine. Book. 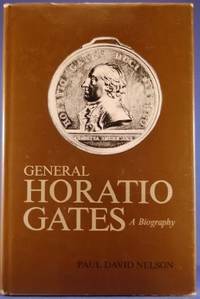 General Horation Gates, A Biography. Louisiana State Univ., 1976. , 1976. 1st ed. NAP. 319p. Photos. Maps. American Commander at Saratoga and Camden. Page edge foxing. Jacket rubbed. Price clipped? copy. 1st. Hardcover. Near Fine/Very Good. Book. Duell Sloan, 1955., 1955. 1st ed. 381p. Benjamin Frankin and the War in the Carribean. Blue cloth. Owner's rubber stamp on title page. Fine copy. 1st. Hardcover. Fine. Chilton, 1965. , 1965. 1st ed. 191p. Illustrations. Jacket priced. Fine/Fine Copy. 1st. Hardcover. Fine/Fine. South Bend Replicas, n.d. c. 1994., 1994. Reprint of 1969. 128p. Line drawings. Illustrations by Copeland, Holst, & Klinger. Brief history of artillery in America through the Civil War. Large format Wraps. Near Fine Copy. Paperback. Near Fine. Book. Military Journal of the American Revolution. 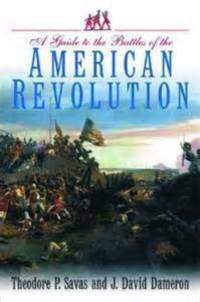 Eyewitness Accounts of the American Revolution. New York Times/Arno, 1969., 1969. Facsimilie reprint of 1862. "Military Journal of the American Revolution, From the commencement to the disbanding of the American Army; Comprising a detailed account of the principal events and Battles of the Revolution." 550p. Fine copy. Hardcover. Fine. Book. Turning Point of the Revolution or Burgoyne in America. Scholars Bookshelf, 2005., 2005. Facsimile reprint of 1941. 500p. White Wraps. Fine. copy. Paperback. Fine. 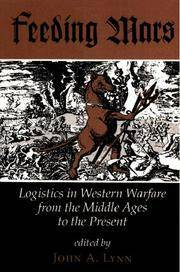 Feeding Mars: Logistics In Western Warfare From the Middle Ages to the Present. Westview, 1993., 1993. 1st ed. 326p. Maps. Anthology of 12 essays by noted scholars including John Shy, Jon Sumida, Edward Luttwak and others. Wraps. Fine Copy. 1st. Paperback. Fine. Book. Naval Documents of American Revolution. Volume 3. 1775-1776. GPO, 1968. , 1968. 1486p. American Theatre: Dec 8, 1775-dec 31, 1775. European Theatre. Nov 1, 1775 - Jan 31, 1776. American Theatre. Jan. 1, 1776 - Feb. 18, 1776. Blue cloth. Very Heavy. Near Fine Copy.. Hardcover. Near Fine. Naval Documents of American Revolution. Volume 7. 1776-1777. GPO, 1976., 1976. 1463p. American Theatre: Nov. 1, 1776-Dec 31, 1776 European Theatre: Oct. 6, 1776-Dec. 31, 1776 American Theatre: Jan. 1, 1777-Feb. 28, 1777. Very Heavy. Blue cloth. Fine Copy. Hardcover. Fine. Naval Documents of American Revolution. Volume 1. 1774-1775. GPO, 1964., 1964. 1451p. American Theatre Dec. 1, 1774-Sept. 2, 1775; European Theatre Dec. 6, 1774-Aug. 9, 1775. Blue cloth. Very Heavy. Fine copy. Hardcover. Fine. Naval Documents of American Revolution. Volume. 8. 1777. GPO, 1980., 1980. 1184p. American Theatre: Mar. 1, 1777-Apr. 30, 1777; European Theatre: Jan. 1, 1777-May 31, 1777; American Theatre: May 1, 1777-May 31, 1777. Very heavy. Blue cloth. Fine Copy.. Hardcover. Fine. Naval Documents of American Revolution. Volume 4. 1776. GPO, 1969., 1969. 1580p. American Theater: February. to May 1776 ; European Theater February. to May 1776.. Blue cloth. Very heavy. Spine sunned. Very Good copy. Hardcover. Very Good. Naval Documents of American Revolution. Volume 6. 1776. GPO, 1972., 1972. 1641p. American Theatre, Aug. 1, 1776-Oct. 31, 1776; European Theatre, May 26, 1776-Oct. 5, 1776. Very Heavy. Blue cloth. Fine copy. Hardcover. Fine. Naval Documents of American Revolution. Volume 9. 1777. GPO, 1986., 1986. 1147p. American Theatre, June 1, 1777-July 31, 1777; European Theatre, June 1, 1777-Sept. 30, 1777; American Theatre, Aug. 1, 1777-Sept. 30, 1777 Very heavy. Blue cloth. Fine Copy.. Hardcover. Fine. Naval Documents of American Revolution. Volume 2. 1775. GPO, 1966., 1966. 1463p. America Theatre: Sept. 3, 1775 - Oct. 31, 1775; European Theatre: Aug. 11, 1775 - Oct. 31, 1775; American Theatre: Nov. 1, 1775 - Dec. 7, 1775 . Blue cloth. Very heavy. Fine copy. Hardcover. Fine. Naval Documents of American Revolution. Volumes 1 to 9. 1775-1777. (Partial set). By Clark, William & Morgan, William (eds.). GPO, 1964 - 1986., 1964. 9 Volumes. about 1500p. each. Blue cloth. Very Heavy. Fine or Near Fine copies.. Hardcover. Near Fine.